Our readers voted this spring — both online and through paper ballots — for their favorite foods, nightspots, and all the professionals they rely on. You’ll find familiar names along with a few new ones on this year’s list. 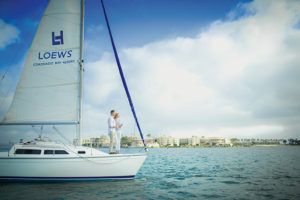 Wedding Planner: Amanda McPhail, Creative Affairs, Inc.
And all the other pros you need in your life! 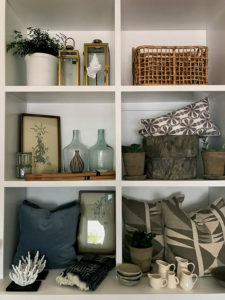 Since it opened in 2014, this store has been bursting at the seams with fresh and inspired home décor, curated by interior designing duo Jessica Nicolls and Karyn Frazier. And now that the store has expanded into the space next door, even more shopping fun is popping up. Every weekend this July and August, various artists will be hosting pop-up shops in the space, setting up for brief periods to sell their wares. That means there will always be something new to discover – and isn’t that when shopping is the most fun? Check b56popup.com for a schedule of vendors. At the base of the enormous Norfolk pine tree you’ll find a colorful – and musical – addition to Rotary Park. 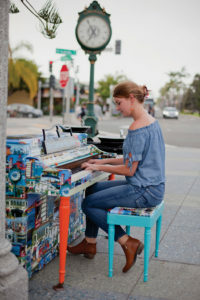 Virtuosos and beginners alike are encouraged to “sit a spell and play a tune” on the new public piano, donated to the city by recently retired Fire Chief Mike Blood and decorated with colorful iconic Coronado images by local artist Jody Esquer. The public art installation will remain up until December. 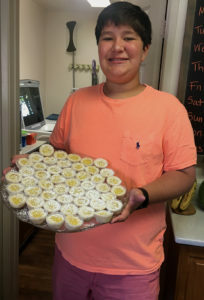 He’s been baking since he was a tyke, but two years ago, twelve-year-old Ty Alvarez got more serious about his culinary art. 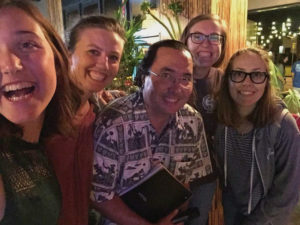 He started with neighborhood lemonade stands, then began a Facebook group “The Neighborhood Kid Baker.” There, people place special orders or buy featured items he offers every two weeks such as lemon bars, puff pastries, cupcakes and brownies. He has no set prices; you just pay based on sweet tooth satisfaction. 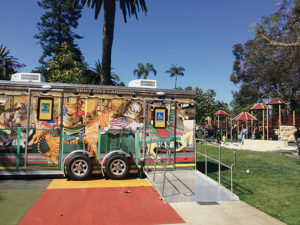 Public bathrooms may not often be something to celebrate, but the new commodes in Spreckels Park will leave visitors flushed with excitement. Local artist Kirsten Green has added floral murals above the sink troughs, paying homage to the annual Coronado Flower Show held in the park. Green also created the exterior murals, which have been restored. Because construction won’t wrap until later this summer, the new bathrooms will only be open during Sunday concerts in the park. In the meantime, the city has installed two temporary bathrooms with lots of reading material about Coronado history built right in. One, near the playground, is awash with images of Tent City’s early 1900 carousel (still running adjacent to the San Diego Zoo); the other is designed to look like an early 20th-century rail car ridden by prominent Coronado figures such as John D. Spreckels, L. Frank Baum and the slightly transparent image of Kate Morgan, who is rumored to haunt the halls of the Hotel Del. Have you been to Holland’s bike shop lately? 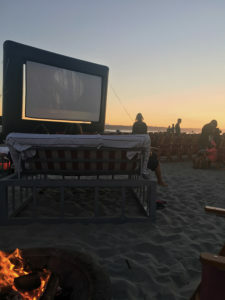 You’ll find it a lot easier to move around, following an extensive reorganization of the shop, which has been a fixture on the Coronado landscape since 1924. Since Karl and Zarina Young purchased it three years ago, they’ve been revamping the space so that cyclists can pedal in and out in no time. 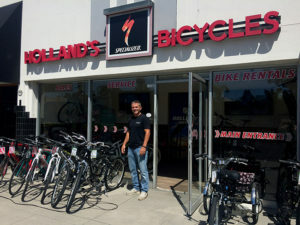 The repair area has been moved to a storefront on Tenth Street, making it easy to drop off and pick up bikes; a back room once overwhelmed with helmets and accessories has been converted into a customized bike and shoe-fitting area; multiple racks added to the alley-way behind the main store has allowed Holland’s to double its fleet of bike rentals. And if you want a little more horsepower between your legs, Holland’s second Orange Avenue storefront has been converted into a space specifically for electric bike merchandise. 977 Orange Ave.